A while back, I started getting fed up with my Birchbox samples. I felt they were selling me short. I kept getting the same types of samples over and over--I can't tell you how many different kinds of lip gloss I received (in the most hideous shades of fuchsia I might add) or how many different hair serums I've sampled. Don't get me wrong. I love having silky/shiny/tamed hair, but there's only so many samples I need. And, I rarely ever got actual makeup (like eyeshadows, foundation, powder, eyeliner, or mascara). I tried changing my profile a bit to see if it would help any but it didn't. So, after hearing some great reviews about MyGlam, I decided to add myself to their waiting list. A month or two later, I received my first box. I initially kept the Birchbox subscription because I wanted to see if I'd be satisfied with the samples I received from MyGlam. After my first box, I was more than pleased, and I canceled my month-to-month subscription with Birchbox. MyGlam (its called IPSY now--although I'm not really sure what it stands for and I can't get used to it using it) has sent me a wide range of samples so far. I've sampled makeup brushes, glosses, moisturizers, nail polish, eyeshadows, and the list goes on. I've been very pleased with all of them! 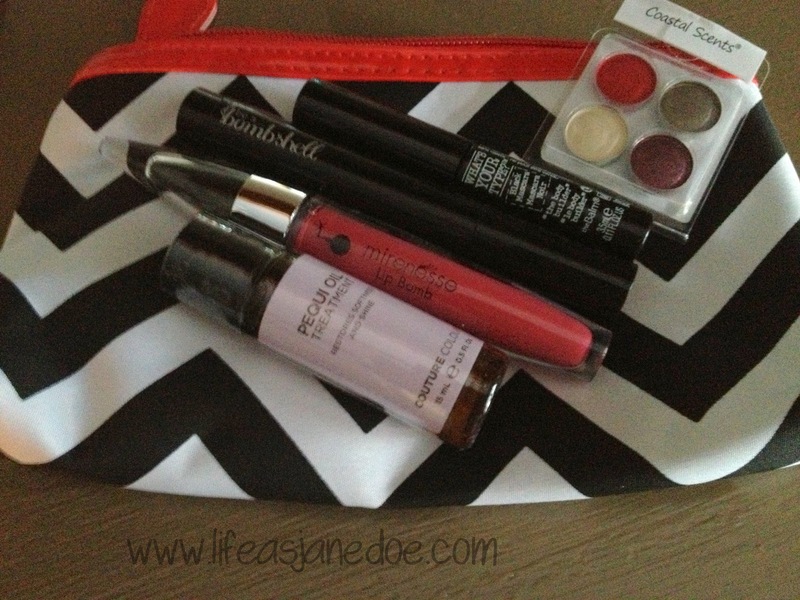 Plus, each month's samples come inside a cute Glam Bag. You should definitely check them out if you haven't already. *Unfortunately, I neglected to take pictures of the other months but they've all been really great.